The 2018 Formula One midseason break has rivalled the season itself in its unpredictability, with announcements from Daniel Ricciardo, Force India and Fernando Alonso all disrupting the peace. But with the summer recess coming to a close, minds will already have begun turning towards making the most of the second half of the season and the run home to Abu Dhabi. This is no truer than in the tightly contested midfield, where the best-of-the-rest fourth-place finish remains up for grabs. McLaren’s unhappy Honda era has transitioned seamlessly into an unhappy Renault era, with the team scarcely better off than it was with Japanese power. The team is quick to point out it has already usurped its 30-point haul last season, but this says nothing for the boastful claims late last year that it had the best chassis on the grid and would surely be competing with Red Bull Racing if equipped with the same engine. Unsurprisingly the team’s comprehensive embarrassment has resulted in a major restructure, with racing director Eric Boullier the most significant casualty. McLaren is unlikely to do better than seventh this year, but even this result is flattered by the prodigious talent of Fernando Alonso, who has scored the vast majority of the team’s points by taking the unwieldy MCL33 far beyond its rightful place in the field. Alonso’s typically strong results have reflected particularly poorly upon teammate Stoffel Vandoorne, who has wilted in the Spaniard’s shadow and is being considered for replacement in 2019. Seven places separate the two on the title table, the largest gap between any teammates. The Belgian has received vociferous backing from Alonso, however, and a chassis change at the previous race in Budapest resulted in him competing closely with his more decorated teammate before a gearbox retirement forced him into retirement. Alonso’s departure in 2019 lends Vandoorne the continuity argument for extension, but he could yet win back some autonomy in negotiations if he can challenge Fernando in the second half of the season. In many respects Force India’s position in the championship is impressive given its financial struggles this season. Though the Silverstone-based team has grown accustomed to maximising its meagre funds, this year was a new extreme, with the squad surviving on cash advances from Formula One to stay afloat. Restricted cash flow has obviously hampered the team’s development goals, but it has affected the drivers too, with Sergio Perez feeling the stress particularly keenly given his central role placing the team into administration to stave off a winding-up petition that would’ve shuttered the team completely. “The last month or so has been extremely tough for me, with the situation that our team was [in],” he said. “I should not really like to be involved in this, because at the end of the day I’m just a driver and I’m just here to drive. Nonetheless Perez leads this intrateam battle, albeit by a single point and aided by his superb podium in Azerbaijan, which teammate Esteban Ocon would likely have been in contention for had he not crashed with Kimi Raikkonen on the first lap. The team is a distant 23 points behind Renault in the targeted position of fourth, but if developments begin to flow, the team’s potent driver line-up is capable of putting the inconsistent Haas and Renault teams under more pressure in the second half of the season — assuming, of course, Lance Stroll doesn’t interrupt the equilibrium with a midseason switch. 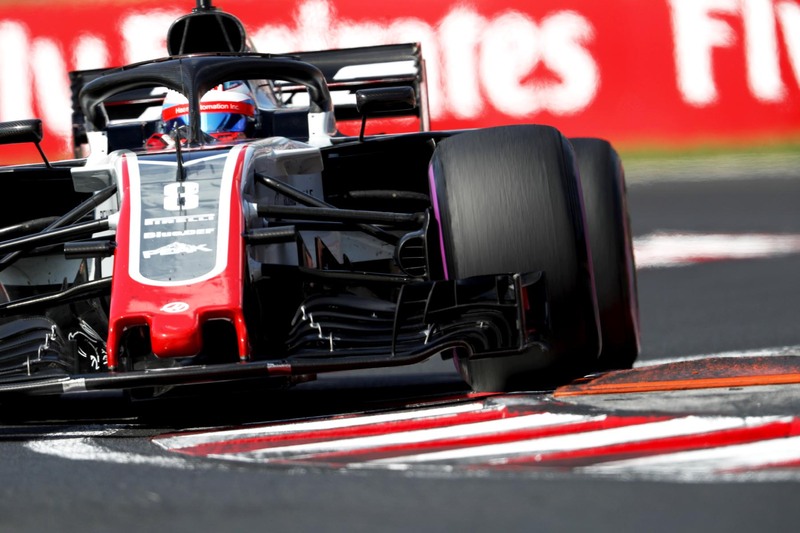 Despite the large strides Haas has made from its debut 2016 season, it will rightly feel disappointed with its points haul given it fields arguably the fourth-quickest car this season. Gone begging in the first five races alone was 41 points, enough to put it comfortably in fourth in the standings. July’s British Grand Prix was the first time this season it had managed to string three successive points-scoring finishes. Romain Grosjean has undeniably been the weaker driver so far this season, and teammate Kevin Magnussen’s growing strength in his second season with the team has only made comparisons less favourable. To the Frenchman’s credit, however, he has begun turning his season around, scoring in three of the last four races, including a strong fourth place at the Austrian Grand Prix. His run of form has helped the team keep touch of Renault and keep Force India at bay. Grosjean remains under pressure, however, especially given the fluidity of the driver market in the midfield. Charles Leclerc and Sergio Perez, for example, may be looking for a drive, and Haas would be foolish not to consider them if Grosjean can’t find consistency. Key for the second half of the season will be to iron out operational weaknesses and repair bodywork fragility that has cost so many points already, for these are the sort of mistakes its more experience Renault and Force India rivals will punish. Though the French team has already outscored its 2017 total at the midway point of this season, to say all’s rosy at Enstone and Viry-Châtillon would be misleading. Red Bull Racing remains the bar for Renault given both teams run the same power unit, but the average qualifying gap to RBR is almost 1.5 seconds. In other words, Renault may be leading the midfield, but it’s still several steps away from joining the frontrunners. Obviously the gap won’t be bridgeable this season, but the team will be more concerned about the Ferrari engine’s recent power upgrades — something Renault boss Cyril Abiteboul has “been amazed by”, admitting his team underestimated the regulations — which potentially bring Renault’s fourth-place finish within range. Of significant intrigue has been Renault’s driver line-up, with Nico Hulkenberg confidently beating Carlos Sainz up to the halfway point contrary to most expectations. Sainz has conceded that he’s struggled to feel comfortable in the car at times this year, but Hulkenberg has also undoubtedly stepped up to the challenge of being paired with such a highly rated teammate. Sainz will need to perform strongly out of the blocks to build his case for a drive elsewhere on the grid now that Daniel Ricciardo has been confirmed as his replacement. If he and Hulkenberg can fire on all cylinders — and if the same can be said of the testy power unit, of course — Renault’s current points buffer should be enough to see it to the end of the season in the best-of-the-rest position. There’s little hope for upward movement from the midfield into the frontrunning pack this season, so check back on Monday for an analysis of the strengths and weaknesses of the teams engaged in the 2018 title fight.